Great and inexpensive way to tour! Very informational aand flexible. Buses are clean with a/c and wifi included. You can't go wrong with a Hop On and Off. We used it to get to another tour we scheduled far from the port and then jumped back on and road it both of the two loops. 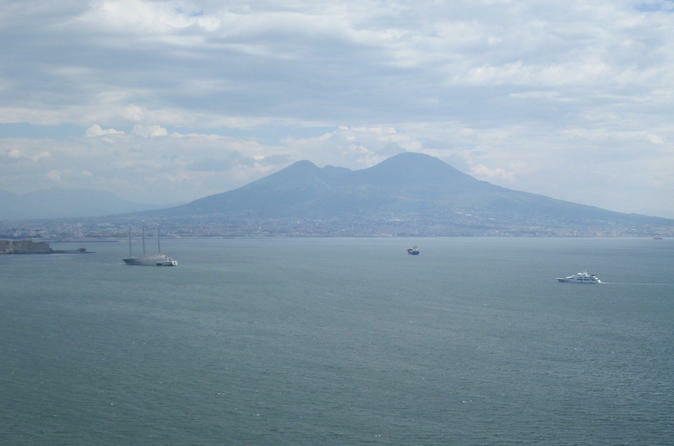 Naples is a beautiful city and taking time for an overview really lets you figure out where you want to go and explore further. Each loop was about an hour. There are 2 different tours on this excursion. The city tour is less than exceptional...old city, lots of traffic, not much to see. The busses are old, sound system poor. If youre fortunate enough to get an English speaking employee, its much better. The busses run about an hour apart so you need to try to time fairly closely or youll be standing in the street for awhile. The better tour leaves Naples city behind and follows the coastline out to the point...very pretty and nice homes, shopping, etc...lots of quaint bistros, beaches, etc. we almost didnt change busses but had nothing else to do. Glad we did because this tour changes your opinion of Naples. Only problem was the driver spoke zero English, sound system was garbled and WiFi was inoperative but...scenery was lovely. 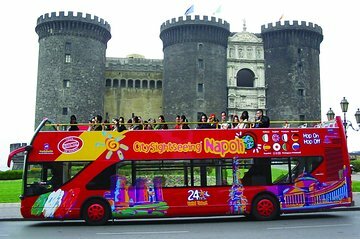 The Naples City Hop-on Hop-off is the best and cheapest way to see Naples in a very short stay, especially with ship hours on the port. A good way to see the city but traffic was a nightmare and hence we ended up walking more than using the bus. Hop on hop off bus is a good way to see the city. Enjoyed our three rides immensely. Bus was waiting at the Port Exit. Coastal tour was the highlight. On our return, the same bus took us on the city tour, very convenient. All the staff we met were very helpful and polite and clear with instructions. As this was the last day of nine stops on the cruise, exhaustion was beginning to set in, so after lunch we took the coastal tour again to enjoy the spectacular views. A very relaxing and enjoyable conclusion.